Ohio is one of the best states in which to get an education in radiologic technology, with a large number of varying degree programs, many of which are affiliated with teaching hospitals. The median salary for radiologic technologists in Ohio is well above the average household income for Ohio resident, meaning that this state is also a great place to obtain work in the radiologic sciences after earning a degree. Radiologic science professionals in Ohio can expect to earn a salary of $55,090 per year. New radiologic technologists are likely to earn closer to $41,420 per year as a starting salary, while specialists in advanced imaging technology such as ultrasounds may earn as much as $72,230 per year in Ohio. More information on Rad Tech salaries in Ohio. Radiologist assistants, radiologic technologists, nuclear medicine practitioners, radiation therapists, and fusion imaging technicians must all pass the appropriate state or national exam in order to practice in Ohio. The American Registry of Radiologic Technologists (ARRT) oversees the exam for all fields except nuclear medicine, which is overseen by the Nuclear Medicine Technology Certification Board (NMTCB). Limited scope X-ray technicians do not need to pass the ARRT exam if they have successfully completed a state-approved certification program. 24 hours of continuing education credits ever two years are required for all fields except limited license, which must complete six, and radiology assistants, who must complete 50. University of Akron: The University of Akron hosts a radiologic technology program in conjunction with the Akron Children’s Hospital Radiography School. Students apply directly to the Children’s Hospital for admission, and are awarded an Associate of Science in Radiologic Technology from the University of Akron upon successful completion of the hospital school curriculum. Xavier University: The College of Social Sciences, Health & Education at Xavier University offers a 23-month program that culminates in an Associate of Science (AS) in Radiologic Technology degree. Upon graduation, students are prepared to sit for the ARRT exam in order to become certified to practice as radiologic technologists. Students who complete the AS degree have the opportunity to pursuer a Bachelor of Science in a general or related field, which may help them to secure more advanced positions. Kettering College of Medical Arts: Kettering College offers students the chance to study radiologic technology at an institution that specializes in health science education. Kettering offers two on-site certification programs in radiologic science, and one pathway that prepares students for further study elsewhere. The two on-site programs are in radiologic technology and advanced imaging technology. The first prepares students for the ARRT exam in order to become practicing technicians, while the second certifies current technicians in an advanced field such as magnetic resonance imaging (MRI) or cardiovascular imaging. Kettering also has a nuclear medicine track that prepares students for the University of Findlay Nuclear Medicine Institute. 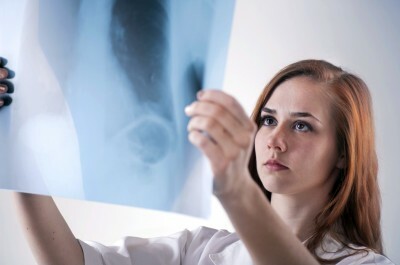 Ohio has many large medical centers and hospitals, which employ radiologic technologists in technical, supervisory, and often even teaching positions if they are affiliated with radiologic technology degree programs. 11 of Ohio’s more than 225 hospitals have been nationally ranked by the US News & World Report. The leading professional organization for radiologic technologists in Ohio is the Ohio Society of Radiologic Technologists (OSRT), which is the state affiliate of the American Society of Radiologic Technologists. This organization hosts annual meetings for professionals in the state, posts job openings, provides grants and other scholarship opportunities for students in the field, and advocates for the radiologic science professions.